The Question Trainer contains current official exam questions (EASA CQB / Central Question Bank) to help you prepare for the theoretical aeronautical examination at the authority. 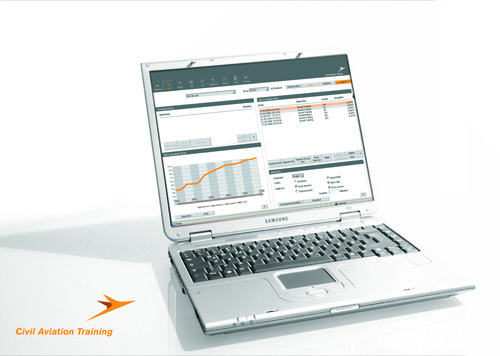 The Question Trainer is based on the software and questionbank from Aviationexam. Access to the Question Trainer is granted as a personal, non-transferable, license. Only exam-relevant questions and no duplicates. Nobody is closer to the real thing. Guaranteed! All updates, including new program- and database versions are included within the license period. Updates are applied automatically and require no user input. two weeks ago I was at the authority and very happy when I received my results. I averaged 95%, whereas GNAV was 91%, MET 93%, POF 93% and Instruments were even at 100%. Thanks again for the optimal preparation for the exam. I can only recommend your services. I wish all the best to your entire team and many more successful exams to future students. … today I went through 5 exams CB-IR at Austro Control and passed them all, one with 100%, all others with 94% or 95%. Your question trainer is excellent and really almost 99% identical with the real exam. Moving right along! Now I finally get to the practical part and I’m really looking forward to it. I want to use this chance to thank you again for the great training software and the friendly communication leading up to my exams. You’re doing a great job, keep it up! For the examination at the BAZL your question trainer is the best and most optimal product available, almost a guarantee to flawlessly pass the exam and to me it’s worth a definite and urgent recommendation! You did a great job with it!!! As partner of ATOs we offer interested flight schools a system for testing and evaluation for their internal performance tests (stage- and quality checks), as well as the ability to determine individual examination readiness in accordance with EASA. Interested flight schools can get in touch with us via telephone or email.